The 2.4GHz range can be used in most countries. Depending on the power output, the radios have a max. 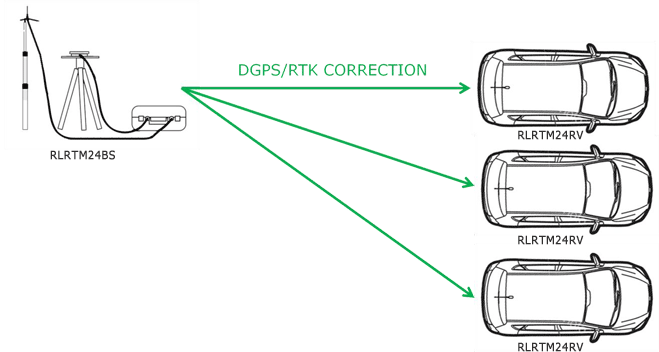 range of 2400m or 4000m and can be used with a Base Station to provide DGPS corrections to a VBOX. All 2.4GHz radios are available with a transmission power of 50mW or 125mW. Please establish which output power is permitted in your county. RLRTM24MTS/C Multiple Target radios enable the simultaneous calculation of parameters from two target vehicles. 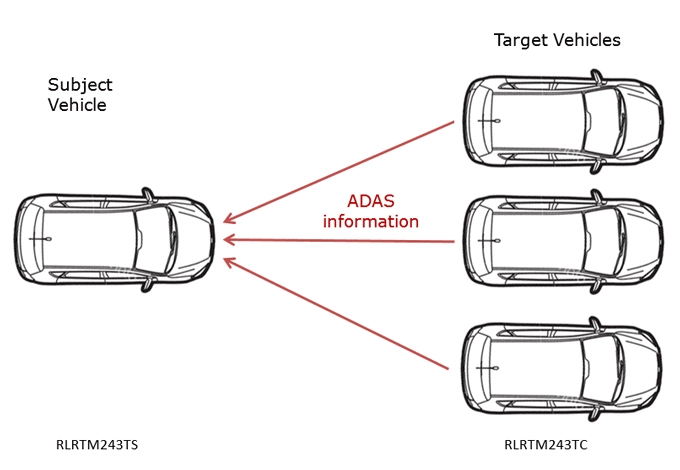 The data flows only in one direction but allows two target vehicles to transmit their data to one subject vehicle, which then can calculate separation data live.